2019 will be the year of the Golden Pig – the year of the Earth Pig among the 60 terms of the sexagenary cycle. 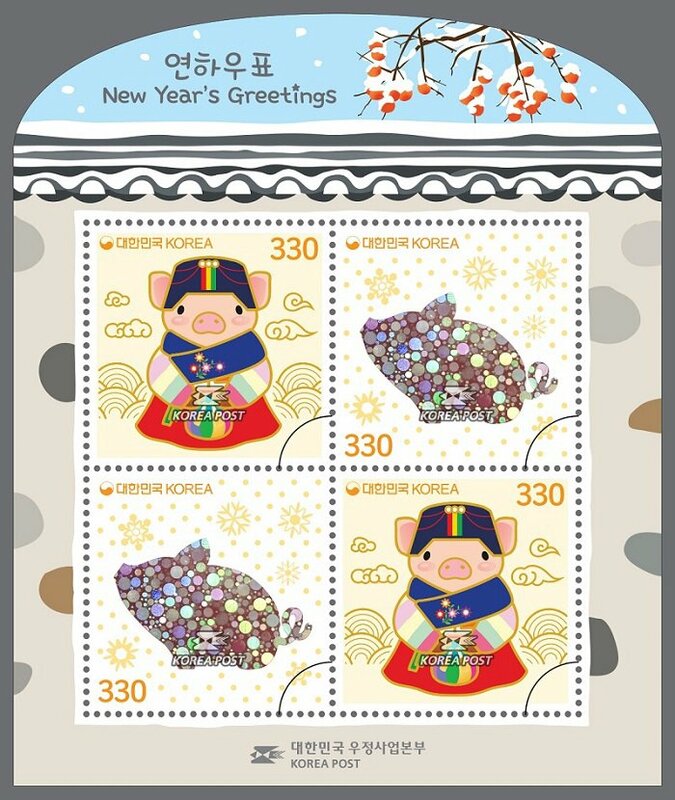 The pig, the last animal in the Chinese zodiac, has been around Korean people long enough to appear in the founding legend of Buyeo. 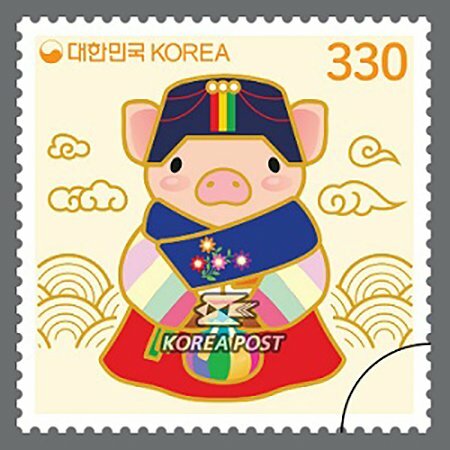 In Korea, pigs often used to be sacrificed on the altar. 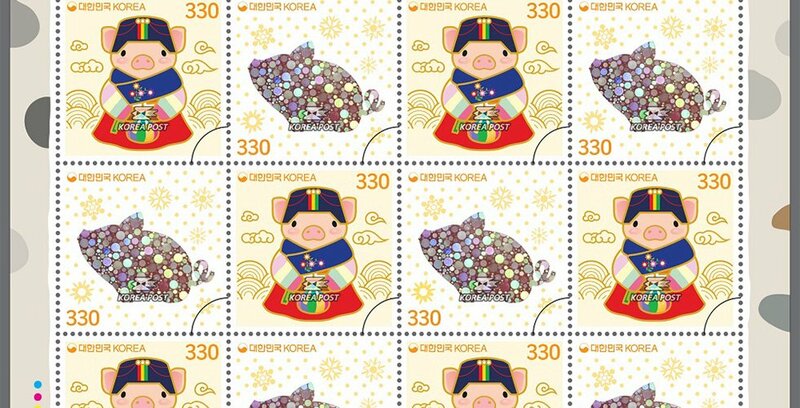 Indeed, there are several records about the Goguryeo period in Samguk sagi (History of the Three Kingdoms) that describe events in which pigs were sacrificed during ancestral rites for heaven and earth. In Goguryeo, pig offerings were so important that someone was specifically put in charge of managing the animal offerings for ancestral rites. Pork has also long been put on Korean tables. Unlike cows, pigs have not been used for farming. 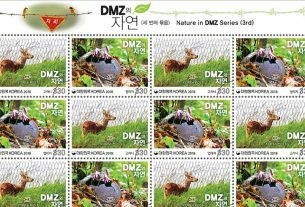 Yet this animal played an important part in supplying abundant protein and fat to Korean people. 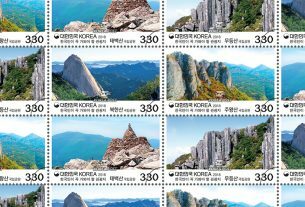 While China is definitely the country that loves pork the most as it consumes half of the pork consumption on the planet, pork is also the most consumed meat in South Korea, showing the nations’ fondness for this meat. Korean people especially enjoy eating Samgyeopsal (Grilled pork belly BBQ). Contrarily, pork consumption is a religious taboo in muslim countries around the world. 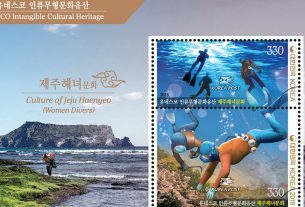 The word pig in Korean, Dwaeji (돼지), is predominantly known to have evolved from the archaic word Doyaji (돝아지[도야지]). 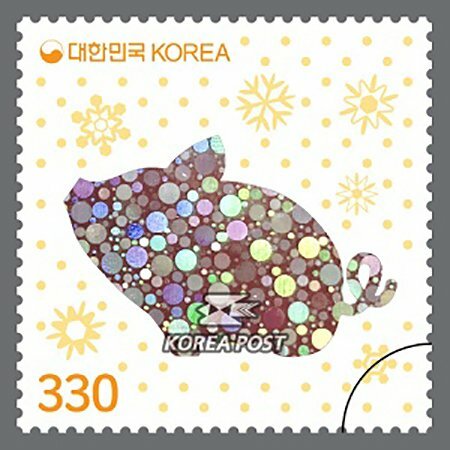 The animal symbolizes wealth due to the similar pronunciation of its chinese character “Don (豚) and the Korean word for money Don (돈). This is why people buy lottery tickets after dreaming of a pig and believe that those born during the year of the pig will be wealthy. The pig also represents fertility given the fact that a pig can give birth to about 8-12 piglets at a time. It is said that the year 2019 shall mark the return of the Golden Pig, after 60 years. This is because, out of the five elements, the Chinese character Gi (己) represents Earth and its color is yellow. Hence, the Yellow Pig, or better even: the Golden Pig. 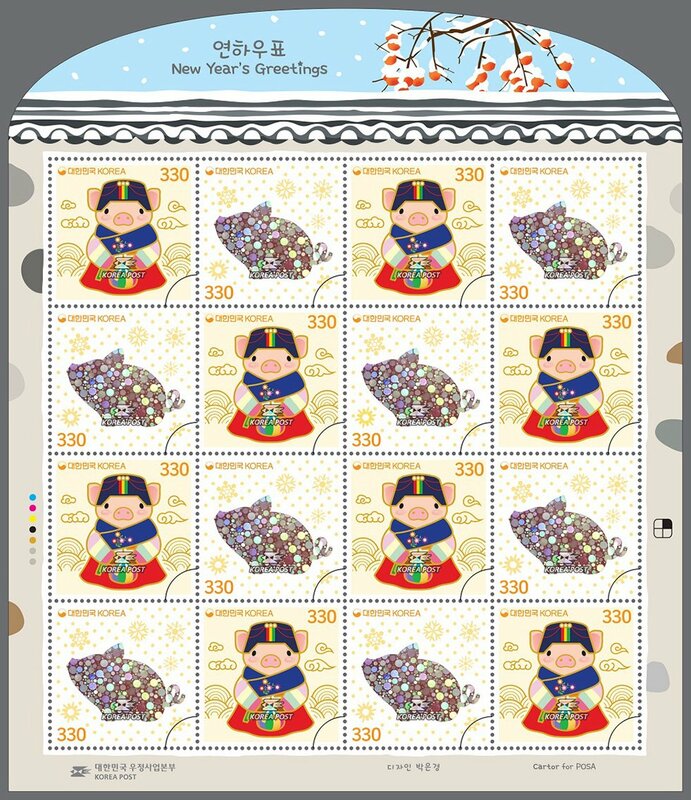 The Post Office will issue golden stamps, stamps with holograms, and embossed stamps to represent the year of the golden pig, one that shines in with hope. 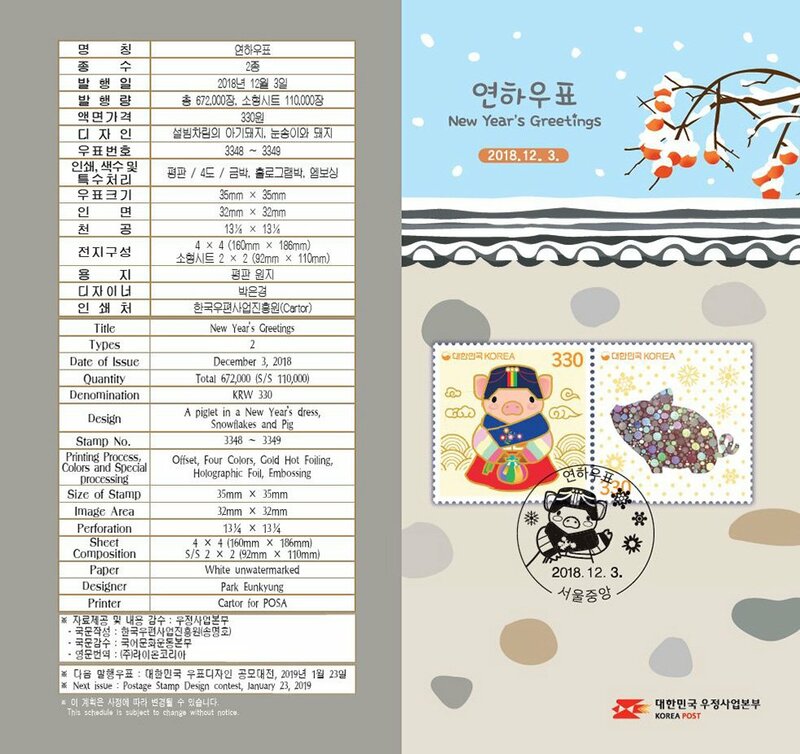 We hope that everyone will spend a pleasant year 2019, invigorated with the energy of the Golden Pig and the pig s luck in which Korean people believe.